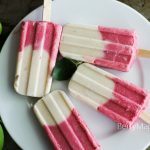 Beautiful double colored banana strawberry coconut popsicles is a perfect summer treat for everyone! 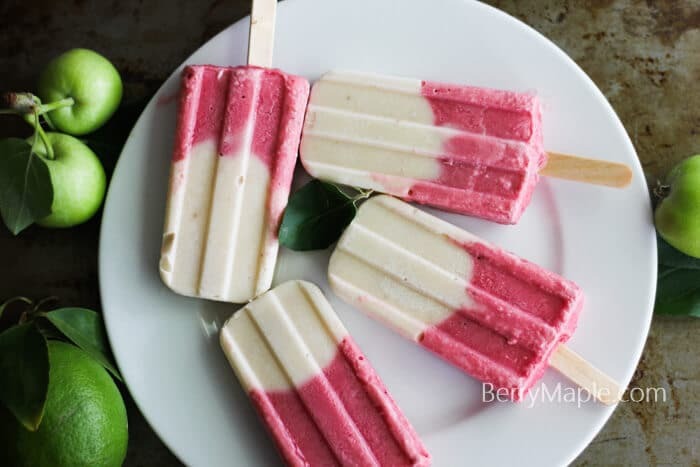 So refreshing and so full of coconut flavor, this popsicles will be a fantastic treat for kids and their parents. 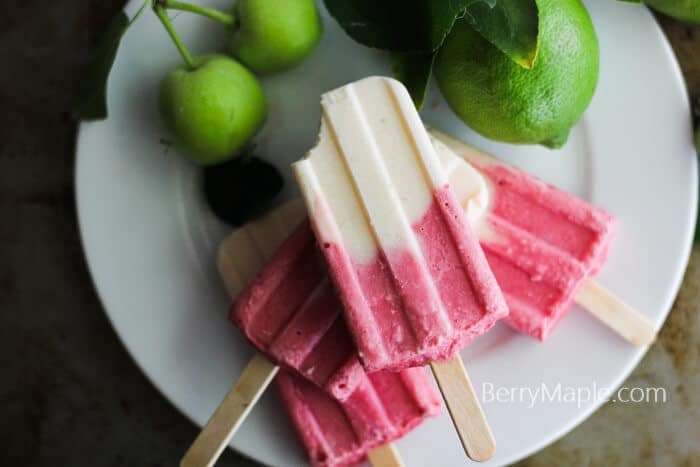 The summer is already here, refresh yourself with some homemade popsicles! Actually banana and strawberry is one of my most favorite combination… its easy to find and buy, even when its out of season. 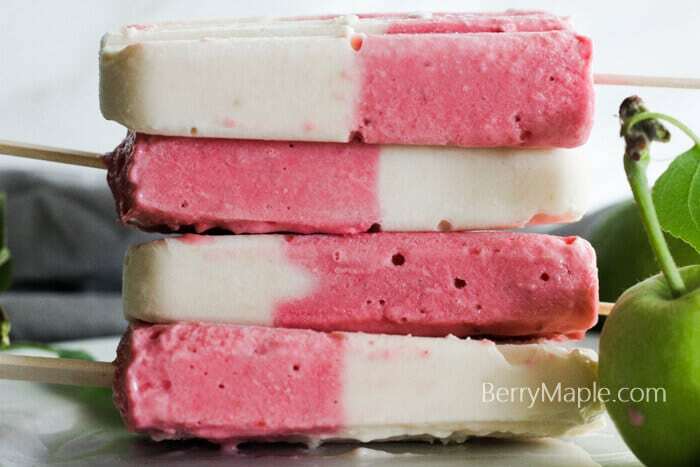 Enjoy this easy recipe and stay cool! Insert wooden sticks and freeze for at least 4 hours or overnight. To remove popsicles from molds, place them under the running warm water for about 10 sec. Enjoy! Popsicle molds are different in size,so if you will have a little bit extra blender mixture, just drink it like a smoothie! Yuuuum! How refreshing are these!? The perfect poolside treat! Thank you Karly! Kids favorite too!